My parents emmigrated to the United States in the late 60s, several years later, I was born. This makes me a first generation American, or, a Turkish-American, or Amerikan-Turk, as the Turks would say. As a child, though I was proud of my heritage, I had trouble identifying with the Turkish American community. I didn't find their traditions comfortable, my parents struggled to get me to attend Turkish School, I didn't have many Turkish friends and I almost always preferred my "American" friends. 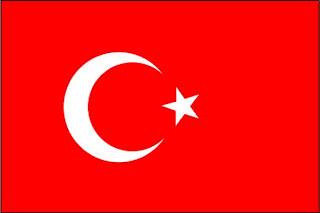 As I dis-engaged from the parental stronghold, I moved further and further away from my "Turkish roots". For me, it just seemed unnatural, I had more in common with non-Turks. My father, however, maintained a very active role in the Turkish-American community, he owned a business that catered to the Turkish American community across the United States. In recent years, I have noticed many other first generation or second generation Americans who reach out to their communities with marketing and business in mind. I recently got in touch with a friend from High School who operates Portokalada, a social networking site for the Greek community worldwide. As I try to build my own marketing business, I do my best to reach out to every business and social network with which I have an affiliation. Only recently have I started to "Engage My Inner-Turk" and reach out to the Turkish American community I shied away from in my past. Throughout the process of engaging my Inner-Turk, I came across a multitude of web groups, newsgroups, blogs and other online networks where Turkish Americans congregate and meet online. I have several Facebook Pages that I belong to including "Chicago Turks." A Facebook Fan Page for a client as well as a Facebook Group called The Leyla Group. Many of my new-found Turkish friends reach out to me within these networks. I also found a whole network of blogs written by Turkish people about their Turkish experiences. I have started to reach out to business owners as well as the Chicago Turkish American Chamber of Commerce. Different avenues in which to grow my own marketing business. Though I may still not have a strong realtionship with the Turkish American community, I feel that I have a stronger relationship with the Turkish American Business Community.